After the collapse of the USSR, Belarus and Ukraine were left over with large arsenals of arms and military equipment (They were the westernmost Soviet Republics that were likely to become important platforms for a Soviet invasion to Western Europe through Soviet-controlled Poland and East Germany). Therefore the two countries have been actively involved in arms exports throughout the 1990s. Besides, most of arms sales from Belarus have been conducted secretly and the proceeds from them have never been publicly accounted for – state finance is generally intransparent in Belarus. 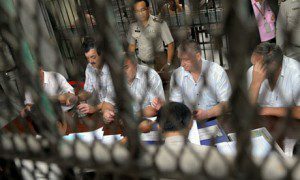 There seems a whole industry to have arisen of people specializing in semi-legal arms trade like the well-known Russian arms dealer Viktor Bout. Services of these highly unpublic businessmen are still in demand over the world – which could probably be the case here. The intended destination of a plane carrying 35 tonnes of arms from North Korea and impounded in Thailand was tonightstill unclear, with none of the governments apparently linked to the seized flight admitting any responsibility for its cargo. Ukraine today said it had launched an investigation into the Ilyushin-76 aircraft, amid speculation that it may have been transporting arms to Iran as part of a North Korean smuggling network used to fund North Korea’s banned nuclear weapons programme. Ukrainian sources indicated the plane had originally set off from Belarus. 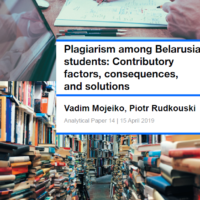 Belarus’s foreign ministry denied the report, but confirmed that one of its citizens – Mikhail Petukov – had been on board, working as a flight engineer. 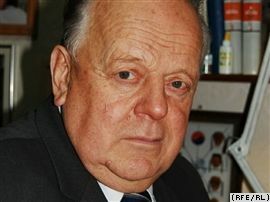 Stanislaŭ Šuškievič, the first leader of independent Belarus between 1991 and 1994, one of the men who gave Belarus its independence renewed after over 70 years of Soviet occupation, is now not even getting a decent pension paid from the Belarusian state because of being in opposition to president Aliaksandr Lukašenka. This largely relates to the whole period of early 1990s in Belarus: the state symbols of that time are de-facto forbidden for public usage, national leaders of that time are either ignored, like Šuškievič, or exiled, like the leader of the Belarusian Popular Front Zianon Paźniak, or humbly demonstrating their loyalty to the President, like former PM Viačaslaŭ Kiebič.